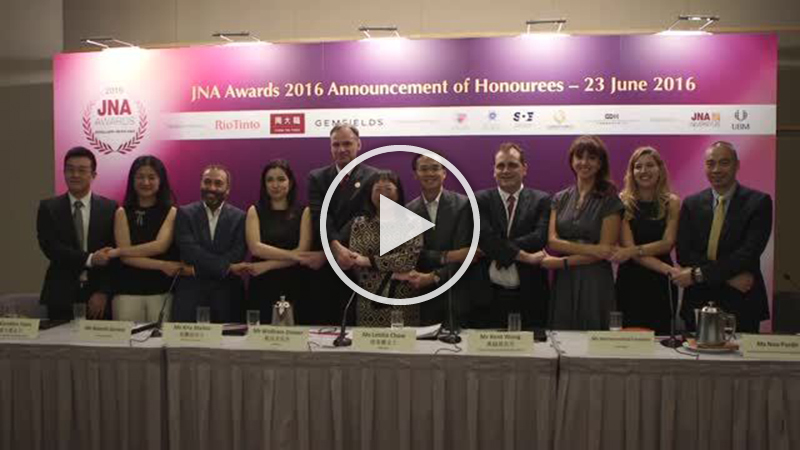 JNA (Jewellery News Asia), organiser of the prestigious JNA Awards, announces the list of Honourees/finalists across 10 categories at a press conference today held on the sidelines of the June Hong Kong Jewellery & Gem Fair. 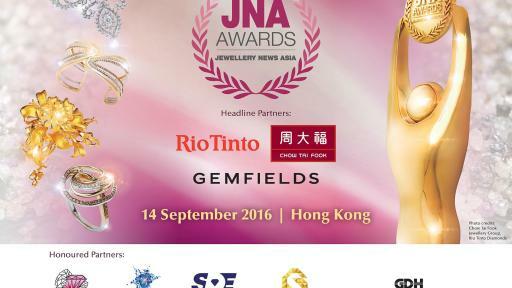 The JNA Awards, now in its fifth year, is a premier awards programme that recognises and celebrates excellence and achievement in the jewellery and gemstone industry, with a focus on the advancement of the trade in Asia. 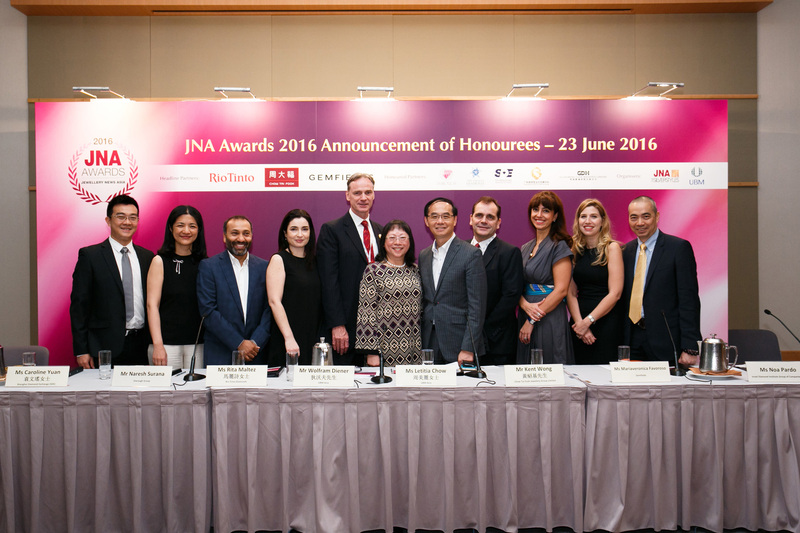 This year, 39 Honourees representing 28 companies from 10 countries/regions, namely Mainland China, Hong Kong, India, Malaysia, Singapore, Switzerland, Taiwan, Thailand, the United Arab Emirates and Vietnam, were selected. A third of these finalists were either first-time entrants or Honourees. 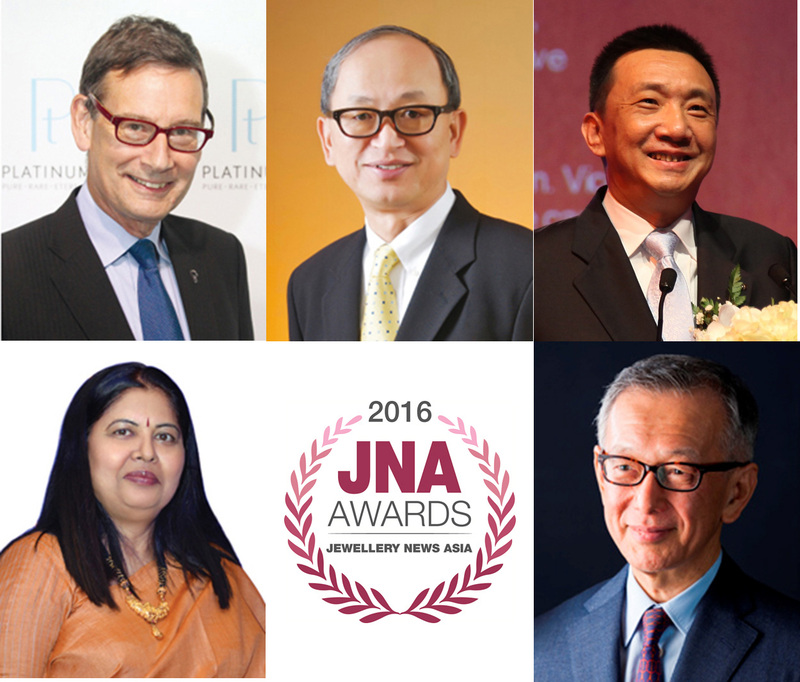 Wolfram Diener, Senior Vice President of UBM Asia, said, "This year marks the fifth anniversary of the JNA Awards, and we'reextremely proud of what has been achieved thus far in terms of creating awareness and promoting excellence in innovation, leadership and sustainable business models in the jewellery and gemstone industry." 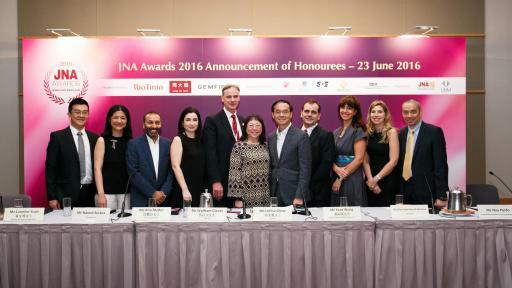 Letitia Chow, Founder of JNA, Director of Business Development -- Jewellery Group at UBM Asia, and Chair of the JNA Awards judging panel, remarked, "I'd like to extend my heartfelt thanks to members of the judging panel who, once again, dedicated their time and effort to come up with an outstanding list of shortlisted companies." 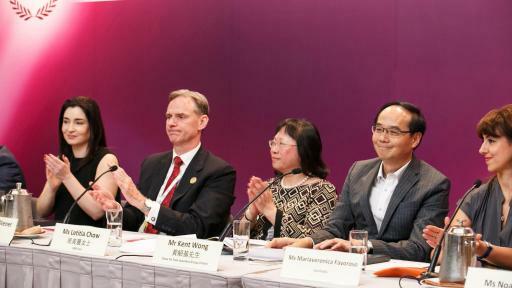 "This year, we saw the submission of more than 100 quality entries, and has reached more regions and companies than before," Chow said. "We have the strongest applications to date," she continued. 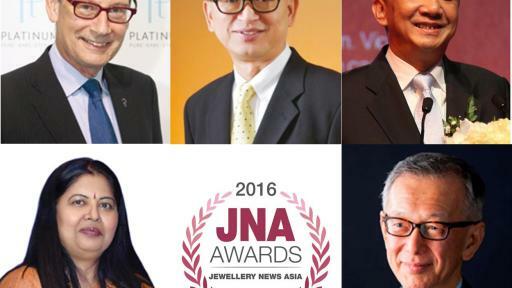 "It's encouraging and exciting to see new companies entering the Awards and being recognised for their achievements and advances in the jewellery and gemstone industry." 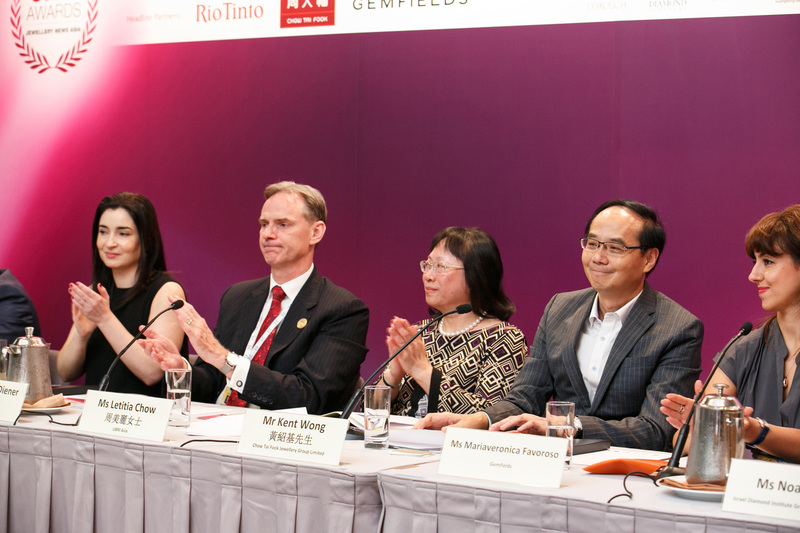 The independent judging panel consists of five esteemed industry experts -- Albert Cheng, Advisor to the World Gold Council, Far East; James Courage, former Chief Executive of Platinum Guild International and former Chairman of the Responsible Jewellery Council; Lin Qiang, President and Managing Director of the Shanghai Diamond Exchange; Nirupa Bhatt, Managing Director of the Gemological Institute of America in India and the Middle East; and Yasukazu Suwa, Chairman of Suwa & Son, Inc of Japan. Please click here for the full list of Honourees. 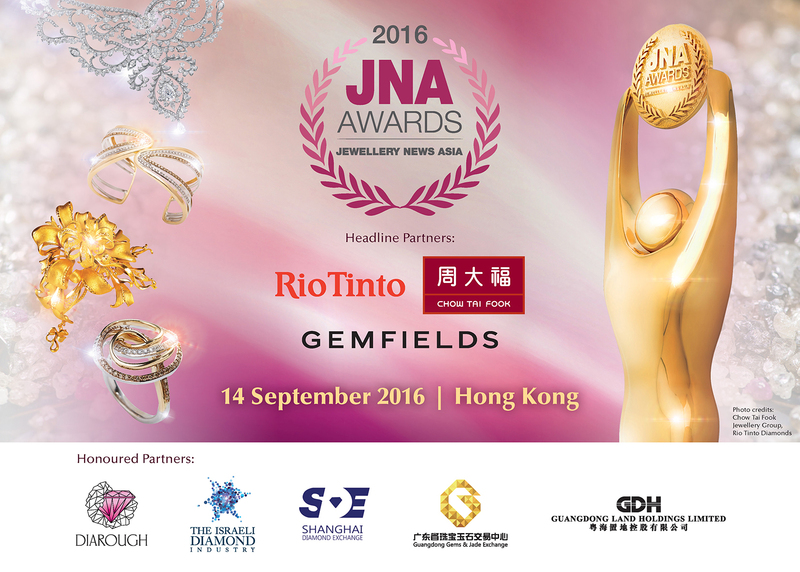 This year's JNA Awards Ceremony and Gala Dinner will be held on 14 September at the InterContinental Hong Kong.